You have to hand it to Ellen. 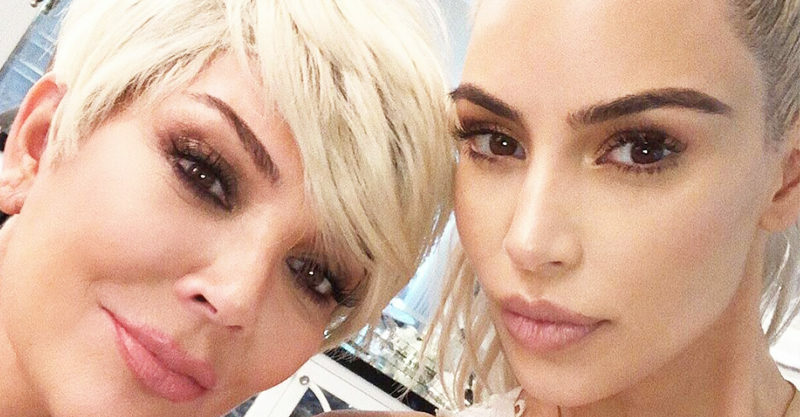 While she didn’t manage to get Kris Jenner to spill too many beans about Kylie and Khloe’s pregnancies, her mere presence caused Kim Kardashian to reveal more than she’d intended on Wednesday’s show. It all started when Kim explained she’d considered not having a baby shower for the child she and husband Kanye are expecting very soon via a surrogate, but then changed her mind, feeling that it would help prepare her four-year-old daughter North for her new sibling’s arrival. It was at this point in the conversation that Kim let slip she really IS having a baby girl. “We had a baby shower over the weekend, and I thought, ‘You know, I really do want to have a baby shower because I want [North] to feel that something’s coming and for her to really understand it,” Kim began. Kim explained her “tricky” daughter was very happy with all the presents her baby sibling had received, opening all the baby’s gifts herself, the very next day. “She was like, ‘Mom, since baby sister is not here, I think I need all of her toys in my room and I’ll play with them and make sure all of them are OK for baby sister,” Kim said. “You just told us it’s a girl!” Ellen pounced. #Whoops! Once the kitten was well and truly out of the bag, Kim was excited to talk in more detail about baby number three. She’s previously spoken about the rivalry between North and her toddler brother, Saint. She says she’s hoping for plainer sailing this time, but not counting on it. “North is really excited [to have a sister]. She’s so excited. Let’s see if it lasts,” Kim told Ellen. When the talk-show host tried to encourage a similar reveal about Kim’s siblings’ pregnancies, Kim was less keen to share any details – and here’s why. “Alright, I’m going to break it down. This is how we work in the family,” Kim told Ellen. This seems totally legit and sets an excellent example of how to NOT get in your family members’ business and create friction. Kim met a super-fan. So CUTE! Ellen pranking Kris pretty hilariously ..!